Sorry, Kanger NEBOX Kit - Temperature Control 10ml Capacity has been discontinued. The Kanger NEBOX Kit is now available from 180 Smoke, with a massive 10ml e-liquid capacity integrated in the mod, and temperature control mode, this device is a game-changer! Uses one single removeable 18650 battery, not included. You can purchase 18650 batteries on this page. The Kanger NEBOX Kit is now available, with a massive 10ml e-liquid capacity integrated in the mod, and temperature control mode, this device is a game-changer! With the NEBOX Kanger is offering us a game-chaging device, with it's unique design featuring an integrated massive 10ml juice tank encased in the mod itself! Only the drip tip sticks out of the battery, for a unique and very compact look! The tank can be filled from one side at the bottom of the device where the airflow is also located, on the other side of the device the OLED display screen, control buttons, and USB charging port. 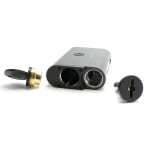 The NEBOX features a temperature control mode, and is equipped with a new SSOCC Nickel coil at 0.15 ohm. It can also be used in variable wattage mode like the Subox, up to 60W of power output, with standard OCC kanthal coils. In addition the Mini RBA Plus allows you to build and wick your own coils if you prefer to be able to customize your vaping experience even more. 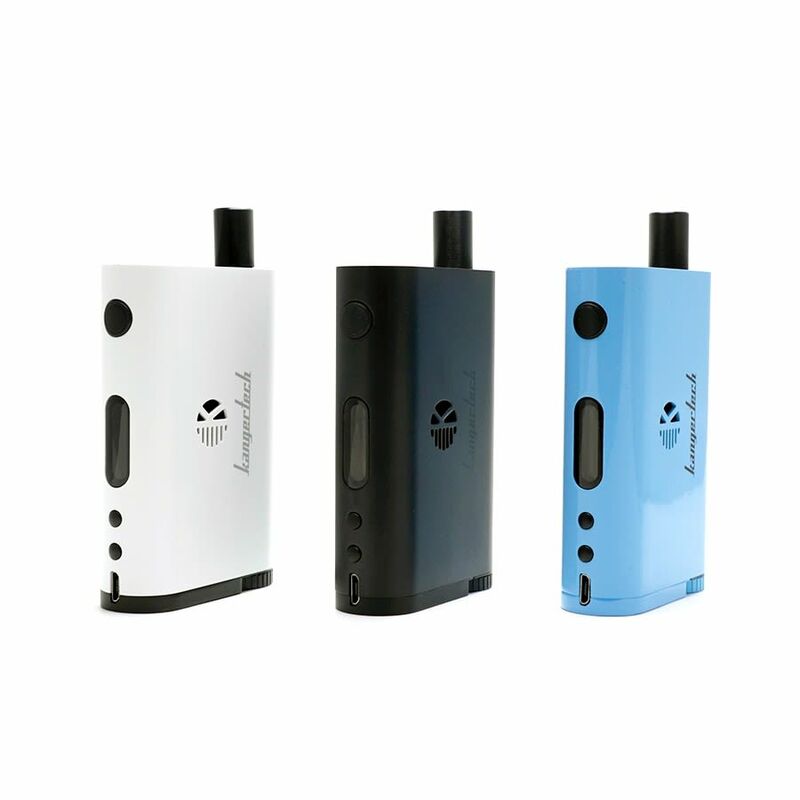 It is powered by one single removeable 18650 battery, not included in the kit.You can purchase 18650 batteries on this page. If you pre-ordered the Nebox in black, white, or blue, you will receive it shortly. Red Nebox have not been delivered by Kanger yet and will be delivered as soon as we receive them. A Temperature Control Mod and a Tank in one device! Powered by one 18650 battery, not included. I was super hesitant to try this out, but I was sold on the 10ml tank! I fill up every three days and I charge it maybe once every other day (I got a 2500 mAh battery with it). Leaking was something I figured would happen because of where the airflow and coil sit on the device, but I don't really get any ever (some spotting sometimes). I'm glad I tried this out, it's my go to now! The only downside for me is that you can't ever get a different tank for the mod portion, but who really cares in the end? !